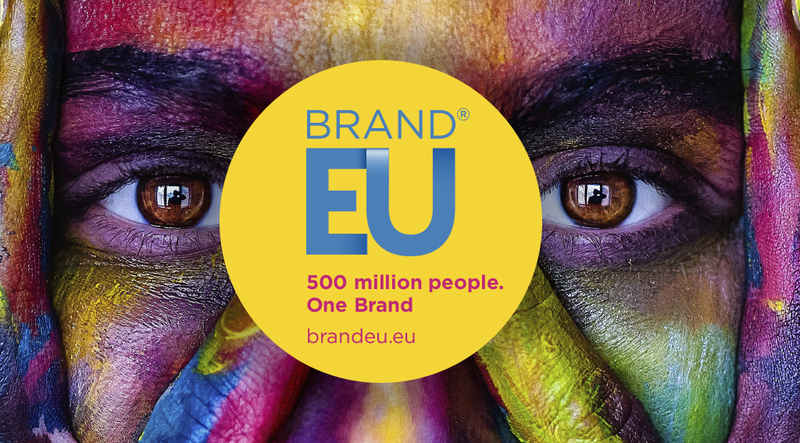 Home > News > BRAND EU, the European Union Brand Centre: making the EU brand cool! The BRAND EU initiative is designed to reposition the European Union’s poorly communicated “brand image” and clarify its future vision. BRAND EU delivers critical analysis and insights on the current state of the EU’s identity, and provides solutions for increased citizen involvement and improved EU governance. BRAND EU is led by Enrique Baron Crespo, former President of the European Parliament and Nicolas De Santis, CEO of Corporate Vision. “Poor management of the EU brand and its communications is a major weakness, creating Eurosceptic and populist attacks and harming citizen involvement and progress of the EU as a whole. Brexit is a clear example of the weakness of the existing EU BRAND”, said Nicolas De Santis, CEO of Corporate Vision and founder of BRAND EU. The EU institutional construct (how the EU works) is too difficult for the public to understand. Also the symbols such as the European Flag, the Euro currency, Europe’s national day (9th of May) and Europe’s anthem (Beethoven’s 9th Symphony) have failed in connecting with the citizens and convey little emotion or clarity about where the European Project is going. Instead, these symbols currently represent a distant and complex institutional structure, and the bureaucratic nature of the project. They fail to convey all the benefits of the EU in citizens’ everyday lives. Corporate Vision believes that it is now critical for citizens to get involved in this stage of the EU project before they become too disenfranchised. To achieve this, the BRAND EU will help re-position the EU BRAND, and show its key benefits and its weaknesses; while proposing ways forward and recognising the need for a brand reinvention and clarity of vision. The BRAND EU Centre draws on Corporate Vision’s experience in building global and institutional brands, Geo-branding and Corporate Vision’s expertise in global governance. Corporate Vision’s team expertise includes brands such as Coca Cola, Iberdrola/Scottish Power, opodo, Google, Garanti bank, Government of South Africa, the European Parliament and the European Movement. “The European Union is the legacy and resolution of centuries of war and devastating conflict in Europe; culminating in World Wars 1 and 2. The EU won the 2012 Nobel Peace Prize for advancing peace, democracy and human rights in modern times. We believe that if we are able to clearly communicate what the EU really is and what it stands for in the world, all Europeans (and non-Europeans) will increase their support and involvement in the European project so important for world stability.” Enrique Baron Crespo, Former President of the European Parliament. BRAND EU, the European Union Brand Centre, is led by Nicolas De Santis, CEO of Corporate Vision and President of Gold Mercury International; and Enrique Baron Crespo, former President of the European Parliament. Nicolas De Santis is an expert in global branding and European Union identity issues, and has advised the European Parliament, the European Commission on EU Brand issues and the launch of the EURO. Enrique Baron Crespo is a leading figure in the construction of Europe, and the President of the European Parliament (1989–1992), Chairman of the European Parliament Committee on Foreign Affairs (1992–1995), Chairman of the International Trade Committee of the European Parliament, and was the International President of the European Movement. Leading global business figures are joining the initiative, including U.S. business leader Todd Ruppert, Founder & CEO of RTR International and former President & CEO at T. Rowe Price Global Investment Services. Promoting the core values of the European Union – The EU is a global public good and a great example of international governance and cooperation. The European Union is the great demonstration that cooperative forms of global governance work. It has united Europe in peace for more than 50 years. Despite being the best example of international cooperation and peace in the world, the “brand,” and communications of the EU have not been well managed, understood or communicated to the people. This has created a prevailing atmosphere of disenfranchisement, and opposition to what is undoubtedly an incredible global public good of peace and great stability in the world; given today’s increasingly volatile world. This needs to be protected and nurtured. “BRAND EU aims to guarantee that the people of Europe, and beyond, understand the EU, and the universal values which its member states have chosen to represent and defend. Values like liberty, democracy, solidarity, human rights and the rule of law. The EU’s values are universal and global. The BRAND EU is therefore a global brand and a guarantor of these values, and BRAND EU aims to promote and strengthen this brand”. says Nicolas De Santis, founder of BRAND EU. In order to progress forward with the European project, BRAND EU develops campaigns, conducts independent research, issues publications and organises events and webinars, which facilitate dialogue around the research topics of the centre between European, national and international authorities, civil society members, corporations and European citizens in different countries. BRAND EU believe that it is critical for business leaders, public officials, and most importantly – the everyday citizen, to truly understand what the EU really is, how it works, and its vision for the future, as well as to establish a brand identity which all of its citizens can relate to. + Clarifying the current state of European Union brand identity and the role of the EU at all levels: local, regional, national, and international. + Assisting in the strategic positioning and promotion of the BRAND EU as a leading global brand of unity, both within Europe, and the world. + Facilitating independent discussion and debate about European Issues on a level and informed playing field through programmes, campaigns and events. For everyone – not just academics and experts. + Monitoring the EU Brand and reporting on its progress. 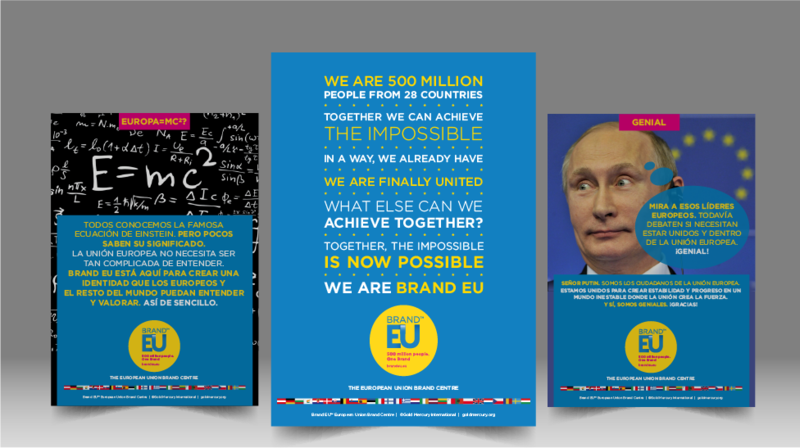 The mission of BRAND EU – The European Union Brand Centre, is to assist in the creation of a powerful EU BRAND identity that connects with citizens and the rest of the world. Via our various programmes, we aim to clarify what the EU really is, its global role and where it is going (vision). It is critical for citizens to get involved in the EU project. To achieve this, we must reposition the BRAND EU and show its key benefits, while proposing ways forward; recognising the need for constructive EU reforms. Finally an initiative to manage EU BRAND since EU are incapable of communicating with normal people about why we should stay in the EU.